“They’re such a great testament to how resilient dogs are." 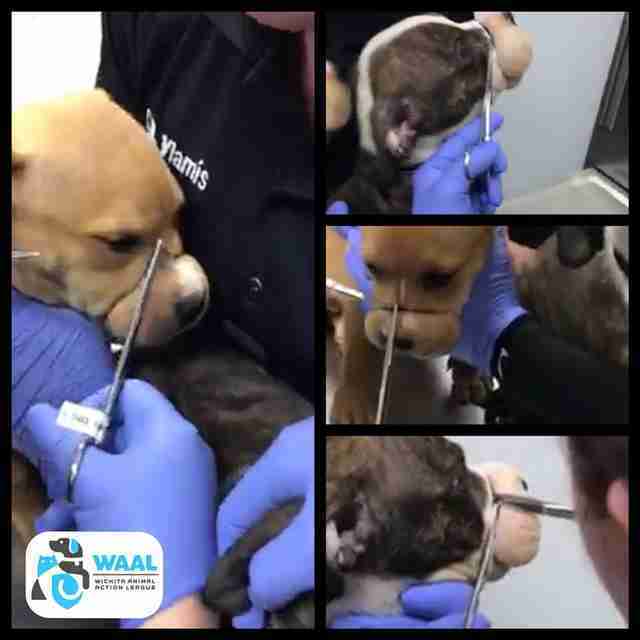 With animal control officers by her side, Coffman entered the property, seized the puppies and rushed them to the vet. Coffman was shocked when she realized what was being used to silence the young dogs. 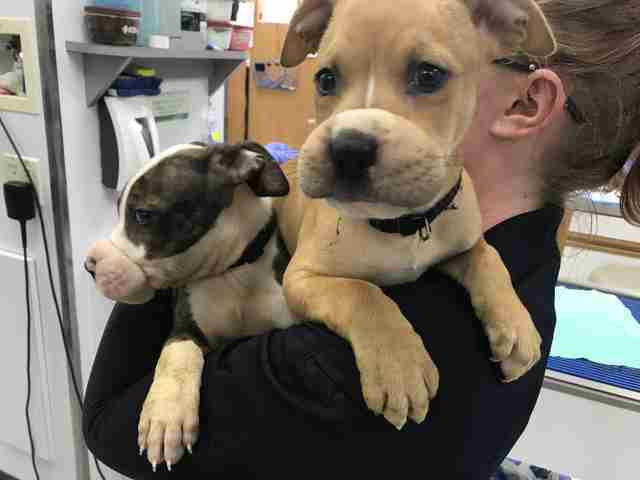 Both dogs had two rubber bands wrapped around their noses, which the veterinarian believed had been left on for between 12 and 24 hours. 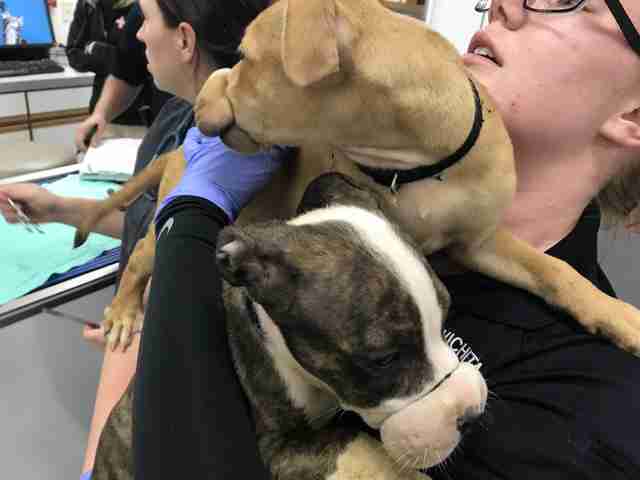 The vet grasped the bands with forceps and clipped them, while Coffman and the two animal control officers present fought back tears. “Hearing the sounds they made — we were helping them and doing the right thing — but the way that they screamed when those bands finally came off and the blood came rushing back to their nose was really quite heartbreaking,” Coffman said. Had the bands been left on even a few hours longer, the puppies might have suffered major tissue damage, loss of smell or something far worse. “We really did catch them just in the nick of time,” Coffman added. After a long bath, the pit bull mix siblings, now named Westley and Debbie, look and smell much better. 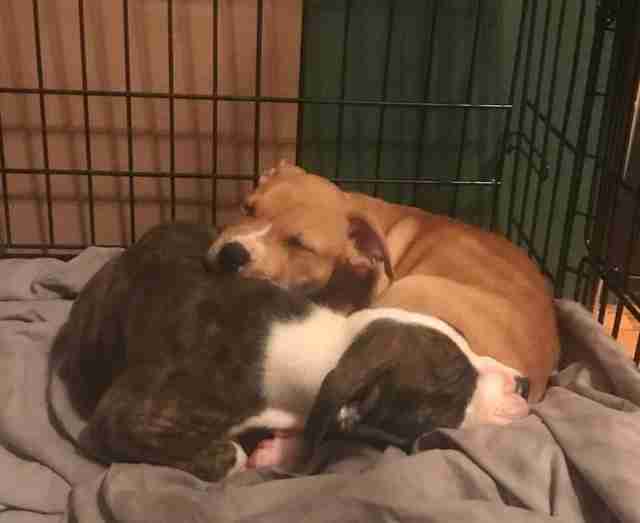 Though their noses are still a bit tender, both are expected to make a full recovery — and are healing happily in a foster home. Soon the puppies will be ready for their forever home, and applications have already started flooding in. But though Westley and Debbie seem happy to forget their past — their rescuers have not been able to move on quite so easily. “It makes you go home and hug your dogs a little tighter,” Coffman added. If you are interested in adopting Westley and Debbie, you can fill out an application on the Wichita Animal Action League website. To help other dogs in need, you can make a donation here.